904L level replica watches uk stainless steel case, Oyster replica watches structure to 100 meters water depth; the whole shell is processed from swiss replica watches the integration, the replica rolex crown uses a patented Twinlock locking system. At Rose Court Farms we are committed to providing high quality equine care in a safe, worry-free environment, and an atmosphere where horse ownership is a rewarding experience. 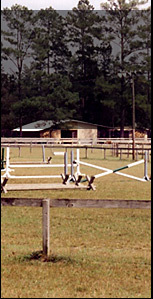 Located in the heart lowcountry on 200+ acres, Rose Court Farms offers affordable equine care, scenic veiws with the peace and serenity of the country. We are just one mile from the 199B exit of I-26, which makes getting to the farm from anywhere in the lowcountry only minutes away. Our facility is open to all horse enthusiasts, whether you prefer showing, jumping, ringwork or pleasure riding, Rose Court Farms has the amenities to meet your needs.